5 Dungeon Quests Completed Complete 5 dungeon quests. 20 Dungeon Quests Completed Complete 20 dungeon quests. The Arcatraz makes its return to current content via the Timewalking system introduced with Patch 6.2. 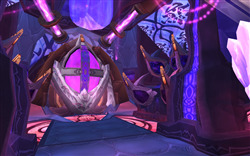 All players level 71 and above will be able to queue for the Timewalking version using the LFD tool when the special event is active. The official highlights blog is here. Don't forget to pick up A Burning Path Through Time.